Can Jenna and Matty really be friends? 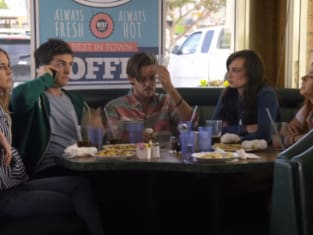 That was addressed on Awkward Season 5 Episode 18 as their friendship continued to blossom, but what did Sully think about all of it? The gang tried to make things right with Jake after the big party got him fired from his job, but did it go without a hitch? Jenna was forced to dig deep into her past or she could lose her place at Idea Bin. Use the video above to watch Awkward online to get up to speed with all the latest drama.